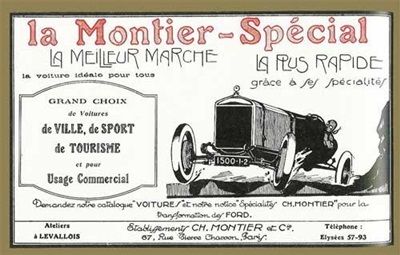 The fifth edition of the Le Mans Classic will be held on July 9, 10 and 11 and it will welcome the Ford T Montier. This exceptional car first participated in the 24 Hours of Le Mans in 1923, marking the arrival of the Ford name on the Sarthe’s oval. In 2008, the Ford T Montier was back in the race during the 4th edition of the event finishing at the 49th place in its category. An impressive feat for this ancestor of the 24 Hours, as just finishing is a dream of many competitors. The legendary Model T revolutionized industrial production, and during 24 years, 15 million cars came out of the factories. The Ford T became the first worldwide car in the automobile history. 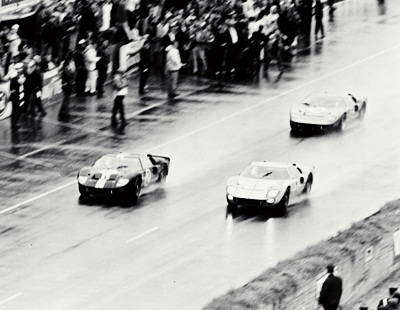 Ford, of course has also seen much success at Le Mans with the legendary GT40’s. Ford dominated the classic sports car endurance race in the 1960s, when the GT40 won four years in a row between 1966 and 1969. The Ford GT40 was designed by a team of engineers from Britain and the United States, led by Eric Broadley. It debuted in April 1964, less than a year after the first engineering drawings were penned. After retiring from the 1964 Le Mans race, Carroll Shelby was handed control of the race program. The GT40 retired from the lead in 1965 but claimed a spectacular and highly memorable 1-2-3 win in 1966, led by Chris Amon and Bruce McLaren. The following year Dan Gurney and AJ Foyt cruised to victory by 32 miles in the famous seven-liter red Mk IV, setting an average speed record of 135.40 mph. Ford’s official factory program at Le Mans closed at that stage. Revised rules capped engine size at five liters in 1968. Private team John Willment Automotive converted a Mirage - a lightweight GT40 derivative - back to GT40 bodywork and Pedro Rodriguez and Lucien Bianchi claimed the car’s hat-trick at the Le Mans Sarthe circuit in 1968. The 1969 race had an especially strong entry. Jacky Ickx and Jackie Oliver fought a thrilling duel with the Porsche 908 of Hans Herrmann. The lead changed hands repeatedly in the last three hours as the lightweight GT40, dressed in the famous blue and orange Gulf Oil livery, frequently used its weight advantage to dive into the lead under braking. Ickx eventually crossed the line with a slender two second lead, which equated to just 120 meters advantage, after 24 hours of racing. 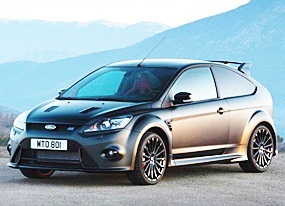 This year, as well as the Model T Montier, Ford will be showing the latest iteration of the Focus, the new Focus RS500. This Focus has 350 hp for a zero to 100 km/h in less than 6 seconds. Only 500 of this limited edition will be available; of which 56 for France. The Focus RS500 will open the track for the three rounds of the “Grid 5” made up of cars having raced at Le Mans between 1966 and 1971. This will include the legendary GT40s. Last week I asked which helicopter factory became one of the most significant makes in motorcycle racing. Clue: it was owned by an Italian Count. It was the MV Augusta. So to this week. What is the name of the Chevrolet Spark “clone” and sold in Thailand? India’s Mahindra & Mahindra has made a fresh move to expand its stable beyond SUVs and utilitarian vehicles, buying a majority stake in the Reva Electric Car Company and announcing its intention to become a “strong global player in the electric vehicle space”. The Reva purchase, under which Mahindra takes a 55.2 percent stake in Reva (to be renamed as the Mahindra Reva Electric Vehicle Co), comes as the Indian auto manufacturer this week also confirmed its intent to bid for the troubled SsangYong Motor (and if successful will hopefully burn down the SsanYong sstyling department). Mahindra has joined seven companies worldwide in preparing an offer for SsangYong, including Nissan and Renault (with South Korean partner Samsung), and will now do due diligence over the next six weeks to determine if it will submit a binding bid before the July 20 deadline. SsangYong has been under court-ordered bankruptcy protection since early 2009, with a preferred bidder for the company to be announced in August. Mahindra has declined to put a dollar figure on a potential deal with SsangYong - said to be worth around $3 to $5 billion - and likewise has not disclosed the value of the deal with Reva, although in a statement it said that its majority stake in the Bangalore-based EV firm came from purchasing equity from the promoters and providing 450 million rupees ($A11.4m) in fresh equity. Mahindra said it would adapt Reva’s EV technology for a range of its vehicles, including an electric version of its Maxximo mini-truck already in development. It is unclear whether its first foray into passenger cars, the Renault-sourced Mahindra Logan, will also gain an electric powertrain. Under its ‘sustainable mobility’ program, Mahindra says it has been working on green technologies for the past 10 years. It has developed a diesel-electric hybrid version of its Scorpio SUV and an electric three-wheeler, and has introduced Bosch-developed “micro hybrid” (idle-stop) technology on a range of vehicles in India. Reva was formed in 1994 as a joint venture between India’s Miani Group and US firm AEV and has become a leading player in low-cost EVs, with more than 3500 EVs on the road across 24 countries including Europe, the UK, Asia and South America. Under the new Mahindra Reva organisation, the Miani Group will hold a 31 percent share and AEV will hold 11 percent. 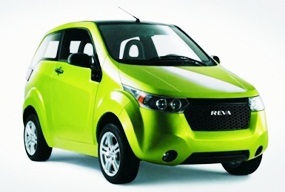 Reva has also been working with General Motors to develop a plug-in version of its Chevrolet Spark mini-car. However, GM, which unveiled the Reva-powered Chevrolet e-Spark at the Delhi motor show in January, is believed to have since pulled out of the partnership following Reva’s deal with Mahindra. Mahindra Reva’s chief of technology and strategy, Chetan Maini, said that as a result of Mahindra’s investment, Reva will be now able to “scale, innovate and accelerate and so to deliver better products to more customers in more places”. “The EV market is poised to grow significantly and we concluded that in order to seize the opportunity we needed the resources and experience of a major automotive manufacturer,” he said. Mahindra president (automotive) and newly elected chairman of Mahindra Reva, Pawan Goenka, described the deal was a “key strategic acquisition for Mahindra in its march towards sustainable mobility”. Dr Goenka told journalists at the announcement that he expected India to produce 80,000 to 100,000 EVs by the year 2020, with global sales projected at 1.5 to two million cars. The message is clear. The two most populous countries, China and India, are the coming forces in the automotive market. 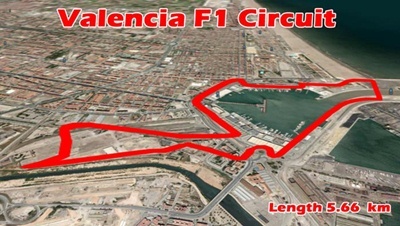 A return venue this weekend, with the ‘round the houses’ of Valencia for the European Grand Prix. This was a new circuit a couple of years ago for the F1 circus and it has been universally boring every time. Monaco without the boat harbor. Or the mystique. Yet, here it is still on the calendar. Money has been paid under the table? (Or was that pesetas?) Surely not, in the clean and pure environment of Formula 1. I have the sinking feeling that we will all be annoyed at the lack of racing, but, ever the optimist, I will be watching. The Qualifying is at 7 p.m. on Saturday 26 and the race is 7 p.m. on Sunday 27.